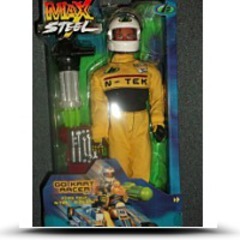 Max Steel N-Tek Go Kart Racer 12 Inch Figure still in original package. Also includes tool box and weapon which shoots missiles. 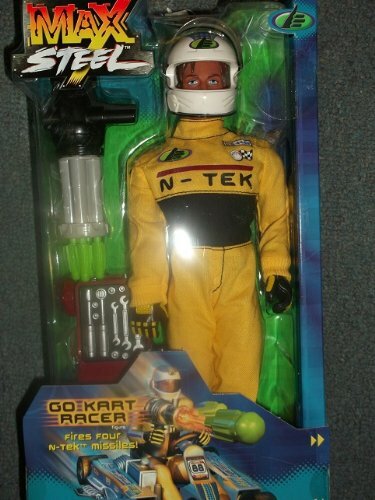 Includes racing suit with gloves and helmet. Dimensions: Height: 13" Length: 7" Depth: 3"